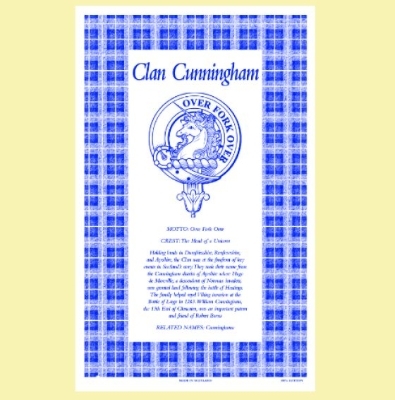 Cunningham Clan Scottish Blue White Cotton Printed Tea Towel? 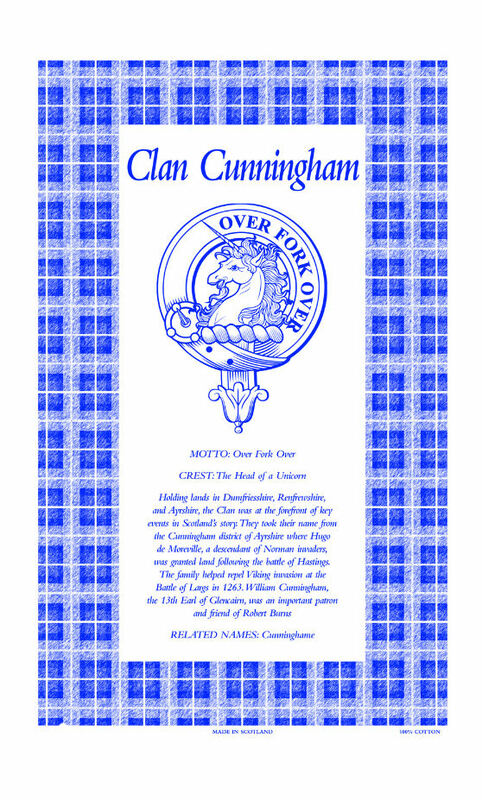 Each Clan Tea Towel carries the Clan Name, above a carefully researched Clan Crest with a description of the heraldic devices which make it up and a translation of the Clan Motto. 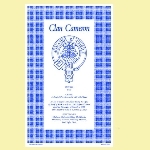 The clan's genealogical, historical and geographical origins are explained. Other associated clans or family names are also listed. Tea Towels can always make perfect useful gifts to give to friends, family or even simply for yourself. Tea Towel made from 100% Cotton, printed using bright vibrant colours with clear, sharp print. The tea towel size is approximately 31.10 inches (79.00cm) by 20.27 inches (51.50cm) and is a high grade professionally made tea towel. Buy for you're family and friends as a gift or momento. The ideal gift for any lover of all things Scotland. Combined postage is available for larger quantities - Please Ask ! It will be sent to you folded and sealed to protect it. This item is made in Scotland. After placing your order, please allow sufficient time for your order to arrive. Not all surnames are a Clan or Sept in their own right - many are part of a larger more prominent family. Not all Clans are available for these products. 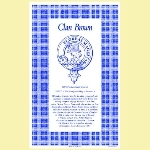 There are also other styles and colours of Clan Tea Towels available in my stores, please see my other listings.